You’ve heard whispers about New York City’s “Zero Waste” plan and noticed folks carrying those flashy orange totes around; you bumped into a brown organics collection bin in the lobby of your friend’s apartment in Brooklyn that you could swear wasn’t there before; or perhaps you’re just tired of tripping over mounds of garbage bags on the sidewalk and wondering “will anyone put an end to this?!”. Whatever the reason, you’ve decided to start managing your waste more responsibly. That’s an awesome idea! You’ve come to the right place to get educated. Let’s start with the facts: NYC collects over 3 million tons of trash and recycling every year from residents alone – when combined with commercial, construction, and demolition waste that’s a whopping 14 million tons annually. Yikes. 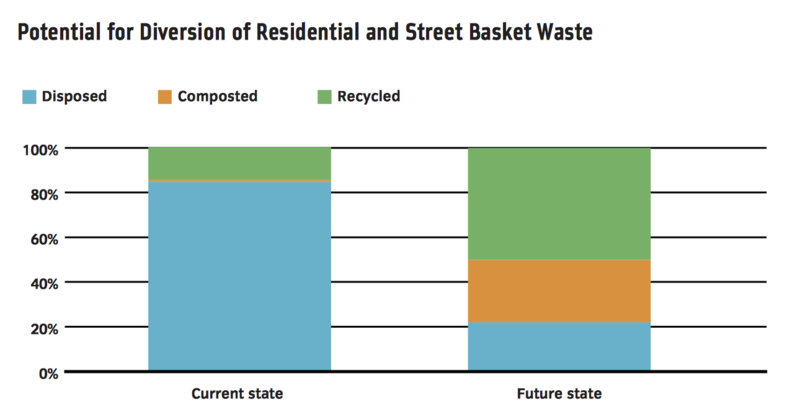 Moreover, NYC’s residential recycling rate is at a measly 15% when in fact over 30% of our waste can be recycled curbside, another 30% can be composted, and a final 10% can be reused or donated! So let’s talk about what to do with that 30% of organic waste. That’s why you’re here after all, right? I don’t have a backyard. That’s okay! No need to process your organic waste yourself. You can simply collect acceptable waste and food scraps and hand them off to someone else to do the dirty work of converting it into… dirt! Or renewable energy. Ok but there’s no convenient way for me to get rid of it! Have you looked into these options? Drop-off Sites. If you live in an area where curbside pickup is not yet an option, here is a map of GrownNYC drop-off sites all over the city. Be sure to click on your nearest site and check the schedule as many sites are only available on certain days. Curbside Collection. This option is expanding rapidly, so check out the Department of Sanitations website to see what’s available in your area. You can also input your address here to see if your building is eligible. You can find more information and request a bin for your building from the Department of Sanitation HERE. Pickup Services. There are more and more local businesses who will take organic waste off your hands for a small fee. I don’t understand what constitutes organic waste. We understand, it can get a little complicated! GrowNYC: If you’re dropping compost off at a GrowNYC greenmarket, acceptable items include fruit & veggie scraps, non-greasy food scraps (rice, pasta, bread, cereal), coffee grounds, tea bags, egg shells, nuts, pits, and flowers or plants. See HERE for more details. This material is transferred to a handful of local sites where it gets converted through an aerobic process into fertile soil to be used at local urban farming and gardening projects. NYC Compost Project: The DSNY supports seven “demonstration sites” that have “exemplary composting operations and effectively engage their communities in making and using finished compost.” Material from the NYC compost project is processed in the five boroughs using a variety of aerobic processes, and some these sites are open for public tours upon request! If one of these sites is convenient for you, check their website for details on what materials they accept. Curbside Collection: Believe it or not, if you’re enrolled in NYC’s curbside collection program, it’s easier to tell you what you can’t compost: liquids; traditional recyclables including metal, glass, plastic, cartons, clean paper and cardboard; plastic shopping bags and cling wrap; any bathroom or medical waste; animal or pet waste; and cigarette butts or ashes. EVERYTHING ELSE can be composted! This waste will be converted into renewable energy through an anaerobic process. My roommates won’t be happy if I smell up the apartment with rotting food scraps. We bet your roommates will thank you for composting! Most people report reduced kitchen odors after they start composting. Think about it, instead of mixing food scraps with other garbage and letting it sit for days under the sink or out in the open, they are separated from the rest of your trash and sealed off. Similarly, in neighborhoods where smelly and easily accessible black trash bags have been replaced with sealed organics collection bins, rats populations have reduced. By carefully separating food scraps in your home, you will help deter pests as well. Many NYC residents without the luxury of a backyard keep their compost in the fridge or freezer. You can store it in a tupperware container, reuse your arugula boxes, or fill up the paper bag from last weekend’s groceries and drop it at a local compost site, bag and all. Easy! Alternatively, purchase one of these nifty countertop compost bins that are specifically designed to block odors. Store it on your countertop or under the sink. Some compost sites will accept food scraps delivered in compostable bags, but make sure they have the “ASTM D6400 specification” and check that your drop-off site accepts them before purchasing. Keeping your organic waste out of landfills benefits you, your roommates, your community, the environment, and future generations. Not only are you diverting waste from overflowing landfills, you’re also reducing harmful greenhouse gas emissions produced by rotting materials in landfills, contributing to the production of high-quality fertilizer for local use, and helping create a renewable energy source (biogas from methane at anaerobic digestion facilities). We dare you to give us a reason not to compost! For more information about the movement towards creating a sustainable NYC, check out The OneNYC Plan (pg. 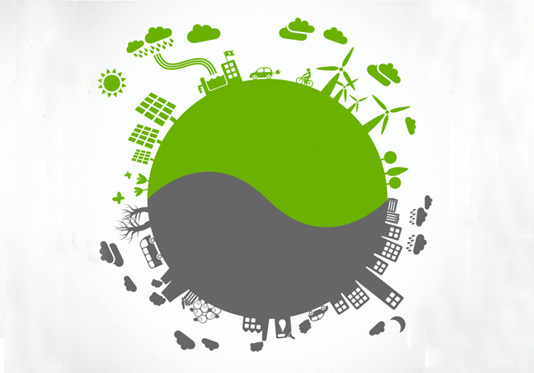 166) to reduce landfill waste by 90% by 2030 and lower greenhouse gas emissions 80% by 2050. Waste reduction is a really big deal, and incorporating responsible waste management routines, such as composting, into your daily life requires minimal effort. We are touched that you came to us to learn how to be an urban composter, welcome to the club!